However, there are other ways you can jump-start the process—namely, your diet. We asked two health professionals—Alexandra Samit, Be Well health coach at Dr. Lipman’s Eleven Eleven Wellness Center, and Nicole Granato, a women’s health specialist—for the simple things we can be doing now to keep the annoying fat away from our midsections. Keep scrolling to see what our experts said about banishing belly fat. A spoonful of MCT oil makes the fat go down is what we’re singing to ourselves. 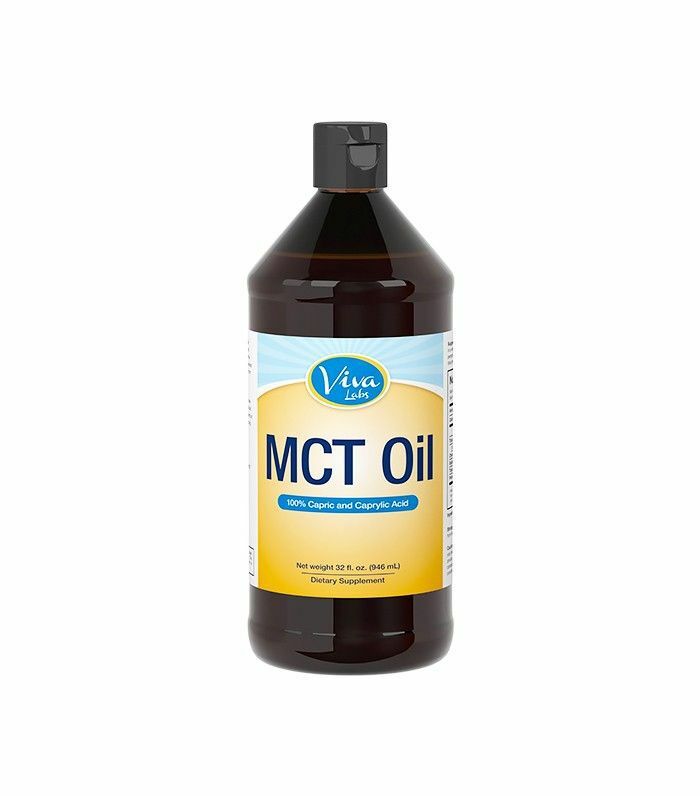 What is MCT oil exactly? According to Samit, medium-chain triglycerides are a unique form of fat that requires less energy and fewer enzymes to be digested. “As a result, they are readily available sources of energy, leading to an increase in metabolism and providing quick energy replenishment,” she says. 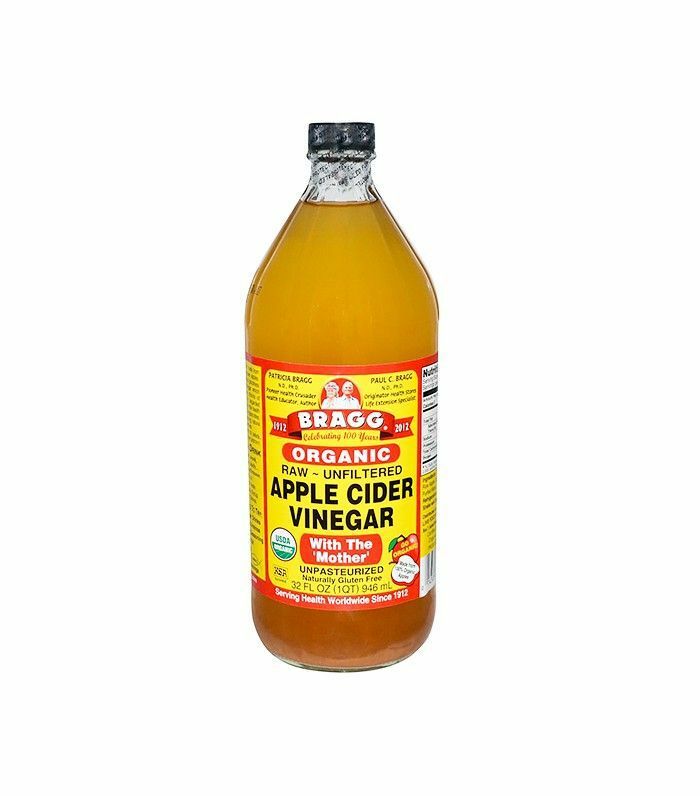 Apple cider vinegar is the beauty multitasker—but have you been drinking it? If not, you should. Both Samit and Granato recommend drinking apple cider vinegar to jump-start weight loss. “Women who frequently gain weight in the abdominal and stomach area do so because of digestion issues, hormonal balance, and bloating,” Granato explains. “This supertonic balances healthy bacteria in the gut, promoting better digestion, balancing pH levels in the body, and killing any viruses and unwanted bacteria.” Samit agrees, saying that ACV helps increase stomach acid (which improves digestion) and aids your body’s absorption of key nutrients from food. She recommends mixing one tablespoon of ACV with eight ounces of water, a sprinkle of cinnamon, and a drop of stevia to taste; Granato says you can take one to two tablespoons daily for optimal health benefits. Click here for more benefits of drinking apple cider vinegar. Pin your flat-belly food list below. Were you surprised by any of these tips? This story was originally published on February 2, 2016. The 5 Foods a Harvard Nutritionist Wants You to Eat "Every Day"